Fear has a way of revealing truths. You can tell a lot about a person based on the things they are afraid of. Some people, you could say, are defined by their fears; others are merely informed by them. Either way, a specific fear is an expression of underlying value systems: evolutionary ones, sure, as in the way some are afraid of the dark because it generally makes everything less safe in the Stone Age and so on; but also systems that are more personal and moral — what you cherish, what you’re comfortable with, what gets into your bones. Entire groups and communities have been formed on the basis of shared fears, be it something as abstract as societal disorder or, much more darkly, something as specific as immigrants. 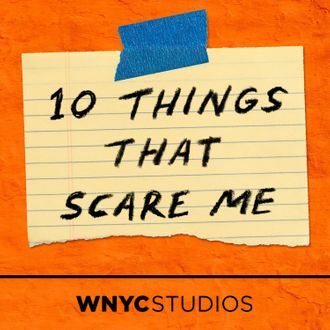 Central to the conceit of 10 Things That Scare Me, a smartly designed little podcast project by WNYC Studios, is the notion of fear as a window into the soul. 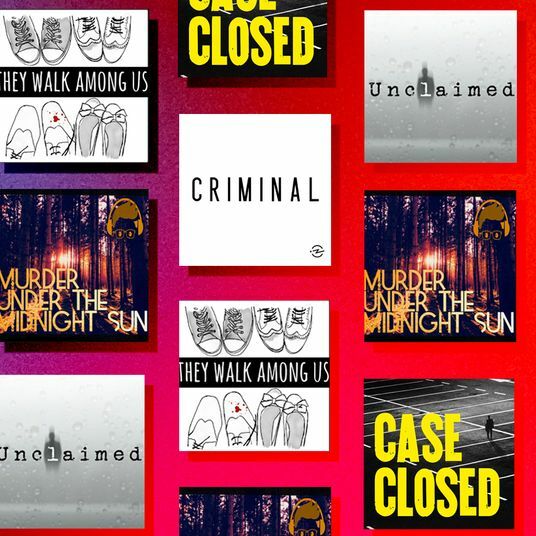 Each bite-size episode, which generally plays out at around five minutes or so, features a different guest talking through their respective lists of personal fears, often going deep into discourse on a number of them. The resulting recordings are gorgeous and engaging, rich and rewarding, capable of imparting the feeling of being a little less alone in the world. The guest list is the hook of the project, and since launching in December, the podcast has strung together a varied and often surprising lineup of guests. (And when I say surprising, I really mean surprising.) The list includes the New Weird author Jeff VanderMeer (“No. 2: the old house”), the chef and author Samin Nosrat (“No. 7: that no one will ever love me just as I am”), Mystery Show’s Starlee Kine (“loss of meaning, loss of purpose, loss of curiosity”), the drag performer Alaska Thunderfuck (“No. 2: driving in cars”), and even, weirdly enough, former Trump appendage Anthony Scaramucci (“No. 2: divorce attorneys”). Sure, the podcast might seem a little gimmicky, between the sprightliness of the short-form conceit and its guest-driven nature. (In the official press release, WNYC calls the format an “audio listicle.”) But such concerns should be quickly dismissed. What starts out seeming like a bit ends up feeling quite necessary. The bite-size nature of the episodes is a glorious revelation. Tight and efficient, the format imposes a narrative economy onto the guests that draws out satisfying arcs to each contribution, like a punch line to a joke or the hook to a pop song. It is perhaps not unlike one of the rules of a ghost story, in that the effect is drained when you linger too long. In any case, its shortness in length doesn’t necessarily entail a shortness in experience. Indeed, the episodes are intensely re-listenable, each new listen potentially revealing another detail. There is distinct pleasure in surveying the wide variety of fears on display. They are abstract and specific, big and small, societal and personal. Better still, they are juxtaposed. In the episode featuring New York Magazine’s very own Rebecca Traister, the fear of never again knowing if elections are free and fair are held up in the same list as not knowing if Carrie Fisher’s death will ultimately compromise the story arc of the new Star Wars films. There is some comedic effect to that smashing together, but mostly, it’s a comfort. It gives a feeling of permission: that it’s okay and human to hold the lighter fears as equally as the grave ones. Also worth noting is the earthy sound design, which privileges analog atmospherics, like the crunching of a tape recorder being activated, and generally works to build a dreamlike quality, a process that starts with the surrealish introductory narration by producer Amy Pearl. The design feels like a throwback to a certain era of narrative podcasts — specifically, vaguely avant-garde-leaning stuff like Love+Radio, Here Be Monsters, and Radiolab at its peak, which I suppose we could awkwardly call the “public-radio-podcast aesthetic of the mid-2010s.” But in today’s landscape of narrative podcasts, which have a habit of presenting literally, it’s a choice that feels quite fresh. I’m not quite sure how far 10 Things That Scare Me can go. In theory, its premise could go on forever, a prospect deepened by the fact that the production plans to mix its curated guest pool with listener submissions. (So StoryCorps, essentially, but for existential dread.) After all, as long as there are more people to drag in front of the microphone, there is always another list of fears to explore, other humanity to explore. On the other hand, the podcast’s strength of narrative economy could perhaps be extended to its very existence. 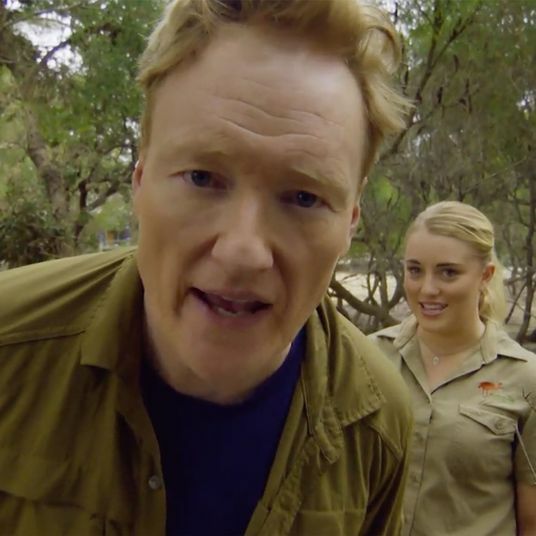 Just as there is power in keeping each episode short to maximize effect, there may well be just as much power in doing the same for the show’s overall number of episodes. Oh, and for what it’s worth, here are my ten things: flying, boredom, cockroaches, large crowds of people, the suffering of a loved one, misunderstanding, being misunderstood, not being in control, not being free, not having enough time.